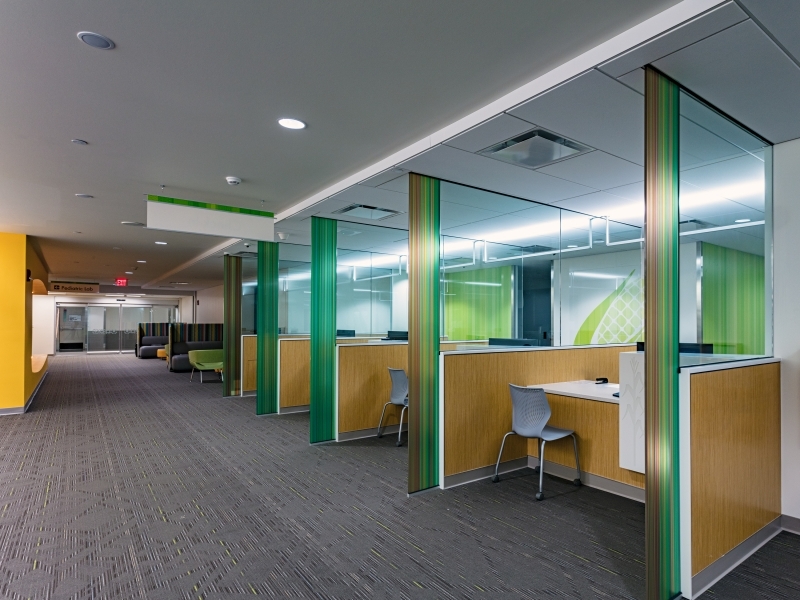 This two-story project within the Papa John Pavilion was presented to City Construction as a shell that needed a full interior renovation. 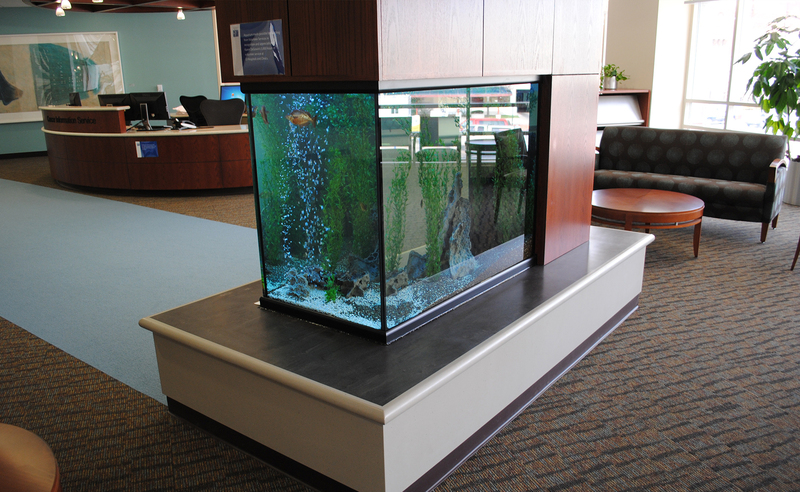 On the first floor, patients find the reception area with healing elements including a fish tank and decorative wavy ceiling. 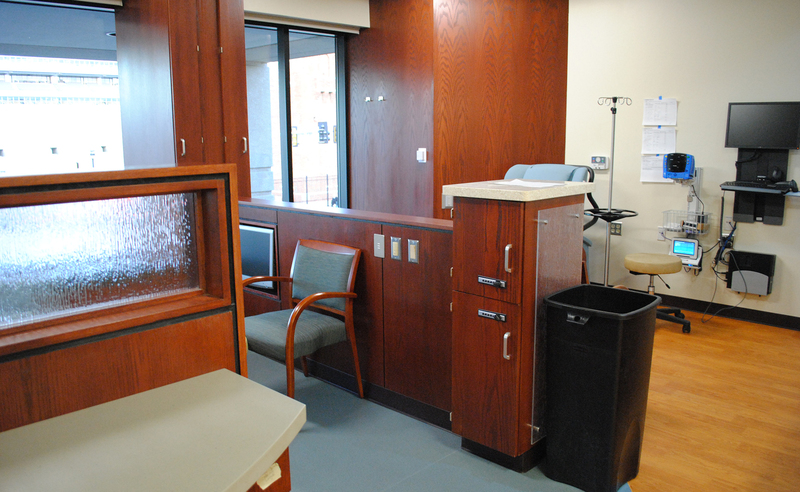 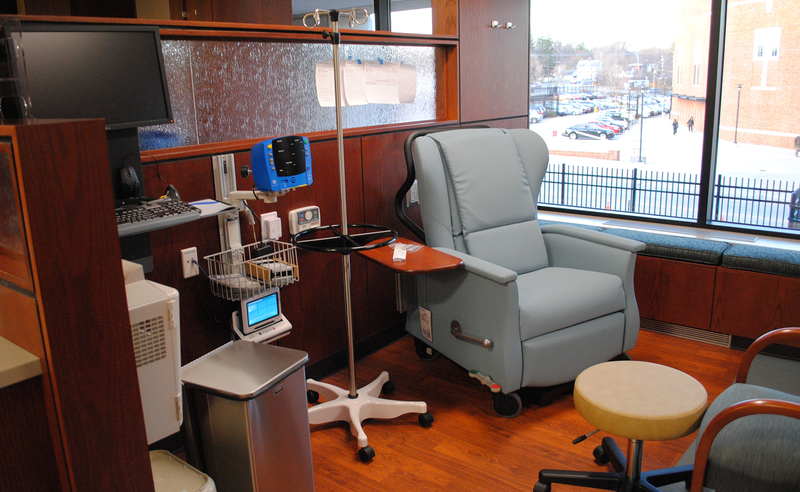 Exam rooms are also located on the first floor. 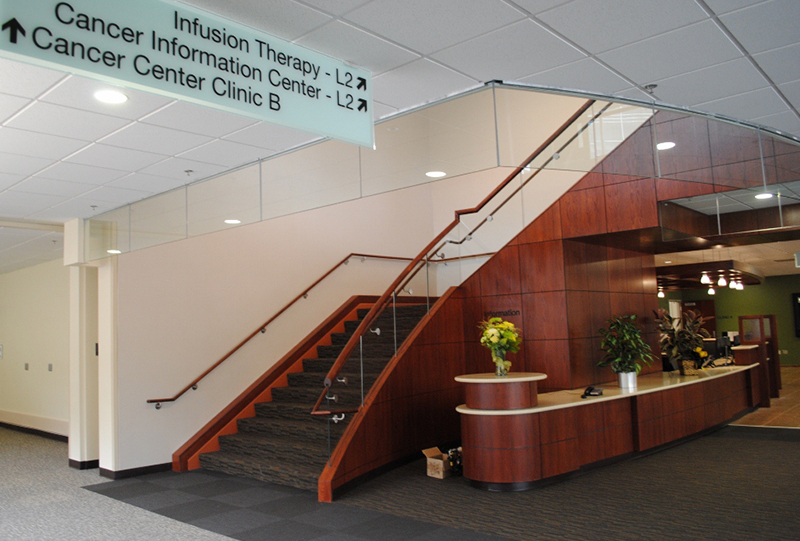 Wood panels in the fusion bays on the second floor project a comfortable, non-medical aesthetic. 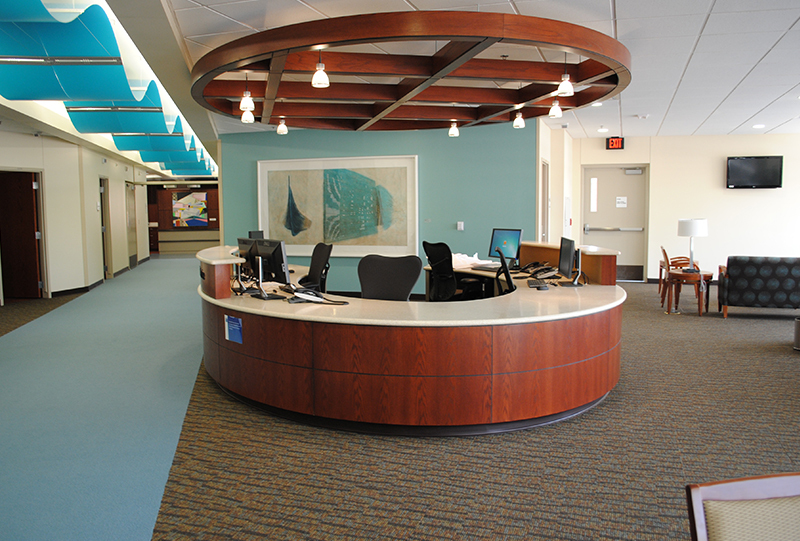 This project received LEED Silver certification. 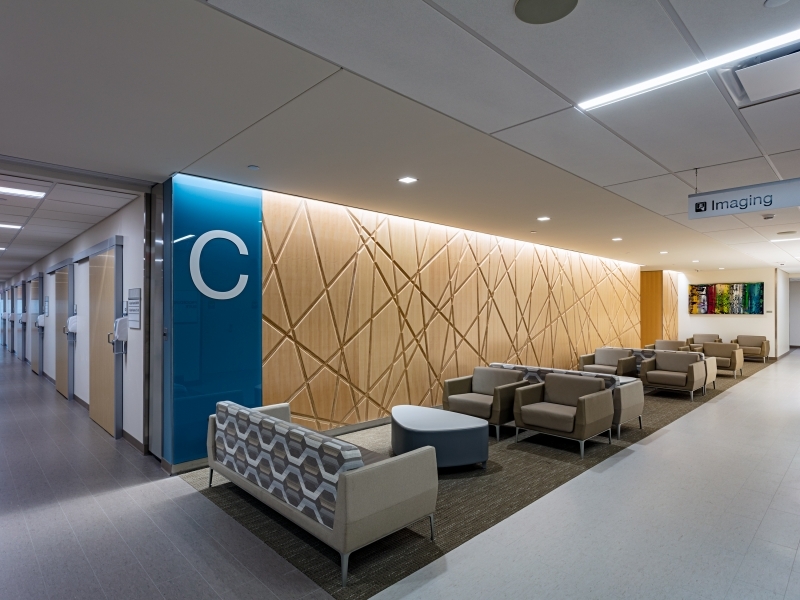 City was tasked with shortening the overall project schedule by one month, and was successful in giving the client early access to areas of the space.